Monday, June 26, 2017 (Norfolk, VA): Boats Group, the leading global classifieds marketplace and marketing software solutions provider to marine brokers and dealers, today announced the appointment of Sam Peterson as the company’s CTO. Prior to joining Boats Group, Peterson served as CTO at Overstock.com and Open English, leading their technology teams. Sam drives Boats Group’s technology vision and strategy, overseeing their global team of expert engineers and developers to deliver a world-class shopping experience for consumers and market leading-value for their industry partners. Peterson is a respected technology leader with deep experience in growing teams from start-up environments to publicly traded companies. Initially hired as Overstock’s first developer, Sam quickly climbed the ranks to CTO, growing the company’s technology team from just 40 employees to over 400. He played a key role in the company’s evolution, building and managing three data centers, improving user experience, optimizing the eCommerce funnel and driving Overstock’s development strategy as the world’s consumers shifted from desktop to mobile. 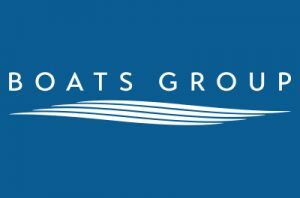 The announcement is the most recent of a series of updates from Boats Group following their acquisition by Funds advised by Apax Partners, including a company rebrand and the appointment of their new CEO, Sam Fulton. The move marks a new chapter in the company’s future as they focus on bringing the boating industry to the forefront of modern business.